Experts are already calling it the rising star of Gurgaon and whatever your take on the Millennium City (or its traffic), there is no denying that South of Gurgaon – also known as Sohna – will continue to soar to new heights for the next 16 years (at least). South of Gurgaon is steadily poised to become what Gurgaon ought to have been and there lies the twist in the tale of Gurgaon’s success. Many cities want to emulate Gurgaon’s growth model – but avoid its haphazard planning. Although Haryana Government is trying to address Gurgaon’s infrastructure woes (and that will take time) – it is also helping to develop more residential, commercial and industrial space – amply available on the south of Gurgaon. Gurgaon – as you may already know – is a leading financial and industrial hub. 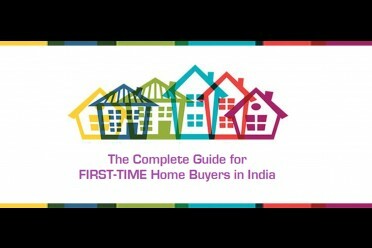 It has one of the highest per capita incomes in India and being close to it has many advantages. “There is a large inflow of working population into Gurgaon every year, which translates into strong demand for housing in peripheral areas”. This is one of the major reasons why there is such a huge rush of end users towards South of Gurgaon, which is so well connected to Gurgaon. So what are the 6 awesome facts you can’t ignore about South of Gurgaon? We list them below – but not in any order of priority. 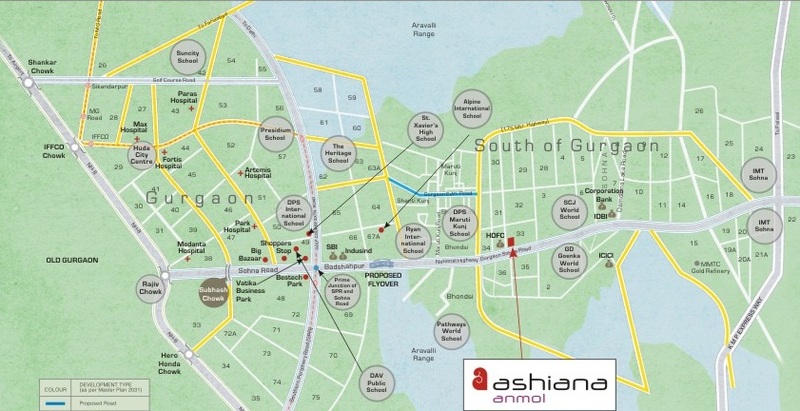 South of Gurgaon possesses a strategic (and great) geographical location. It is easily accessible from all the major cities in Delhi NCR, i.e. South Delhi, Gurgaon, Faridabad and Noida – and will be even more accessible moving forward, as you will read below. Close to school & educational institutes: SCJ World School, GD Goenka World School, Ryan International School, DPS, St. Xavier's High School, Alpine Convent School, The Heritage School, KR Mangalam University, Ansal University etc. Close to hospitals & medical centres: Medanta Medicity, Artemis, Fortis & Max Healthcare etc. Close to hotels like: Country Inn, Westin, Crowne Plaza, Vivanta (Taj) etc. Stores like Shopper’s Stop, Big Bazaar, Bharti Easy Day, Spencer, Aditya Birla’s More, Food Courts, etc. Due to the shortage of land in Delhi and Gurgaon, almost every major developer has invested in South of Gurgaon property. Property prices here have actually risen by 10-15%. The outsourcing industry, which hires more than 5 lakh people in Gurgaon (directly and indirectly), and over 200,000 workers in factories including Honda’s and Maruti’s (in or around Gurgaon), will continue to grow – and fuel the demand for housing that Gurgaon cannot possibly meet. More than 250 of the Fortune 500 companies, it is estimated, have their offices in Gurgaon. These include companies like PepsiCo, Coke, Gillette, Google, Dell, Microsoft– to name a few – along with Maruti, Hero Honda and other Indian companies. 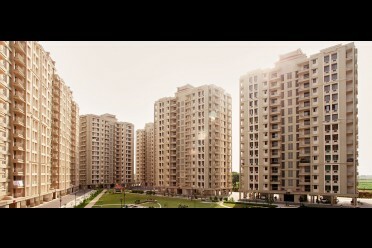 As more companies come in, they will find a more cost-effective property option on South of Gurgaon compared to Gurgaon. For all these reasons, buyers and investors looking for affordable housing options or long-term investment horizons are taking advantage of this opportunity now before it slips out of hand. Because they know that once the infrastructure projects and industrial estates are up and running, the prices will skyrocket. Gurgaon’s residential real estate market is overcrowded and expensive – like Delhi’s. If you’re working in Gurgaon and are on the lookout for affordable housing in the Millennium City, chances are good (pun unintended) that you won’t find any option within your budget – unless you’ve sold or inherited property. So after a hectic day, you can still unwind easily by heading to your gym or going convenience shopping – all within walking distance. South of Gurgaon is home to Damdama Lake– one of Haryana’s largest natural lakes –and an environmentally protected zone. South of Gurgaon is flanked by Aravali Mountains– one of the world’s oldest mountain ranges – and also an environmentally protected zone. South of Gurgaon is popular for its hot sulphur springs – known for their medicinal properties. The springs are located at the foot of a rock and are capped by a dome believed to have been built in the 14th century, though they are believed to date back to the times of the Pandavas. It will always have a green cover of more than 2600 acres. Gurgaon has about 10% of Delhi’s population but is almost as bad as Delhi in terms of air pollution (Delhi is one of the most polluted cities in the world, and according to some estimates, the most polluted city in the world). For all the reasons that you just read, experts are calling South of Gurgaon the rising star of Gurgaon. If you’re interested in living or investing in one of India’s wealthiest districts – you will definitely not want to miss out on this golden opportunity. So do check it out now…before it’s too late! What other valuable information can you share with us about South of Gurgaon? Do let us know – we’d love to hear from you! The ambitious 1,483km-long, 100 billion dollar Delhi-Mumbai Industrial Corridor (DMIC) runs close past South of Gurgaon. It is India’s most ambitious programme to develop new industrial cities as Smart Cities – with industrial estates along with the KMP corridor – that will add tremendously to the value of investments (and jobs). Located in the heart of Sohna town, by the side of a perpendicular rock. This looks good. Can you please share some more details. 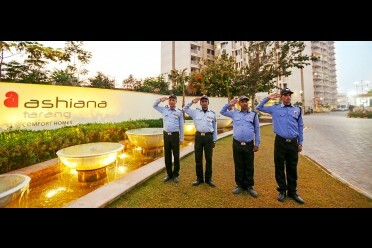 We have 3 BHK Starting From Rs.99.53 Lacs in Ashiana Anmol.